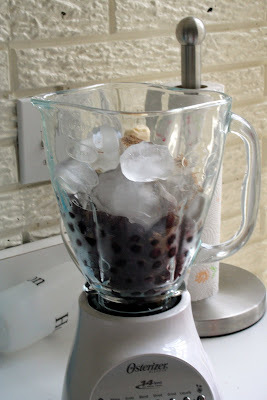 This recipe was in Guideposts. 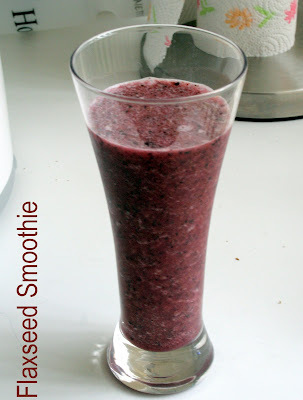 The smoothie is supposed to help lower your cholesterol since it has fruit and flaxseed in there. 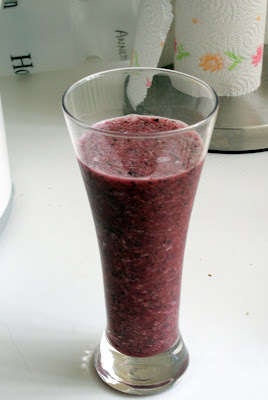 :-) I'll post the original recipe, but I used Blueberries instead of Strawberries, and I'm sure you could use whatever kind of juice you wanted too and it would taste good. 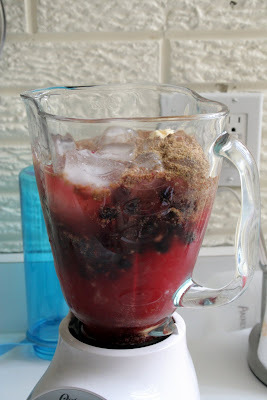 Pour in juice until blender is full. Blend.